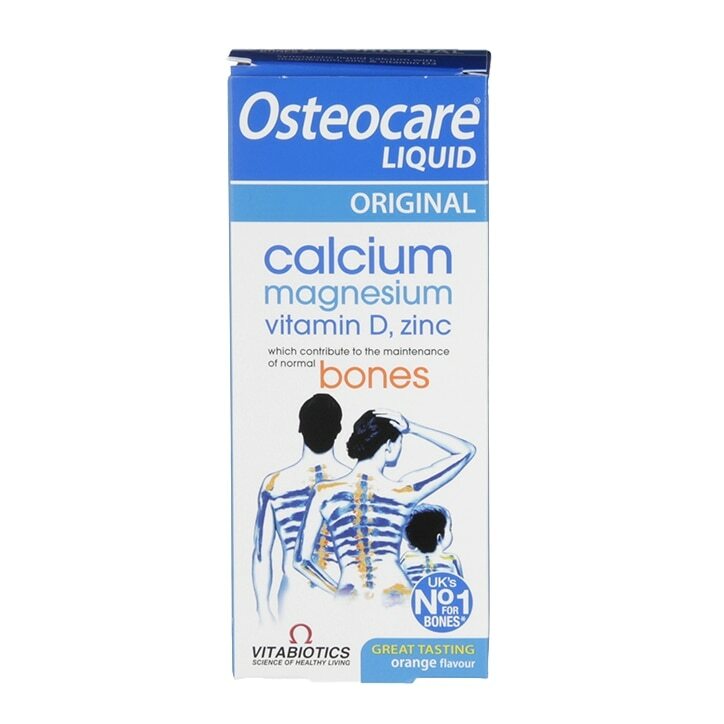 Vitabiotics Osteocare Liquid is rated 4.7 out of 5 by 23. Rated 1 out of 5 by LuLu007 from Contains Sugar! Bought this in store after reading ingredients here - which doesn't mention sugar at all. The person I bought it for opened it and used it, so it can't be returned. She is not supposed to consume any sugar. Not happy. Rated 5 out of 5 by Amber81 from Best of the best I always buy this vitamins for my kids, they love it . Rated 4 out of 5 by Xavia001 from Tastes OK! I needed a liquid version of this due to an operation. It does what it says and doesn't taste too bad either. Good if you need liquid vitamins. Rated 5 out of 5 by bmwtouring123 from Vitabiotics Osteocare Liquid Sweet taste, easy to swallow liquid. Great quality.